Call us on (02) 8880 9424 for all Emergency Locksmith requests. Fully mobile we service all of Sydney’s Eastern Suburbs. Welcome to Bondi Junction Mobile Locksmiths. 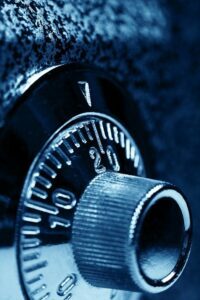 Offering you complete emergency locksmith, lockout and security services. If you are in need of a local locksmith, call us any time. We provide a 24 hour locksmith and lockout service. We come to you with our mobile locksmith service vans. Providing all of our locksmith and security services onsite for your convenience. Our mobile locksmith service is available to all Bondi Junction residents and businesses. We keep the area safe by supplying and installing high security devices and modern locks. 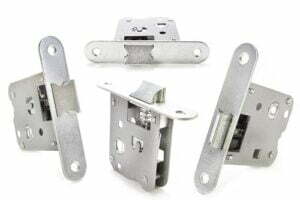 Anything from basic door locks, customised window locks, sliding door locks, etc. Whatever your lock requirements are, we can help. Our locksmith Bondi Junction service also operates across nearby areas to Sydney’s Eastern Suburbs. Bondi is home to the beautiful and iconic Bondi beach and is surrounded by many fantastic residential properties. Make sure you keep your security high by installing adequate locks and security systems. Contact us for expert advice on the best ways you can keep your family and home safe. No matter how much you plan for, sometimes unexpected emergencies occur. Fortunately, we are available to call on at any hour, day and night. If disaster strikes you’ll be glad to know that we provide a reliable 24 hour locksmith service. You never know when you may find yourself in an emergency lockout situation. If you live in Bondi, Bondi Junction or one of the surrounding suburbs and need an emergency locksmith service, give us a call. Our expert local locksmiths can gain entry via any door lock, window lock or sliding door lock in your home or business. Allowing you to get on with your busy schedule. Are you experiencing any issues with your locks? We can help! When it comes to any type of lock, we know our stuff. Depending on the circumstance, we may be able to repair broken door locks, window locks and sliding door locks. However, if the lock is beyond repair, our mobile locksmith vans carry a wide range of stock so we can supply you with a new lock. Upon purchasing a brand new lock, we offer a lock installation service for fitting and testing the new lock. We provide a range of residential and commercial locks, access control and security products. If we don’t have what you’re after on hand, we will order it in. We pride ourselves in providing a professional and reliable locksmith service, offering only trusted brands and available to call on 24 hours a day. Also, if it has a lock and key, our locksmiths can take care of it! Being locked out is a major inconvenience and can be frustrating at the best of times. Fortunately, our Bondi Junction locksmiths are always around the Eastern Suburbs and neighbouring areas. We provide a prompt and reliable service 24 hours a day, 7 days a week. Perfect for those unexpected emergency situations you may find yourself in when you accidentally lock yourself out. We also pride ourselves on being prompt for non-emergency locksmith requests as well. Keeping to schedule is very important to us. To ensure the reliability of our locksmith Bondi Junction service, we only use and recommend trusted and quality brand name locks and security products. Our mobile locksmith vans provide access to a large range of products and door locks, allowing you to choose from lock types varying in security levels and price. To find out more about the types of locks we range, give us a call today. Our Bondi Junction Locksmith team are heavily focused on professionalism, discreteness and high levels of confidentiality. These qualities are of the highest importance when it comes to working with our customers valuable and confidential items. All of our staff are highly trained in maintaining the utmost professionalism with every job. We conduct the same level of service for all our call outs, from the supply of a simple door lock or combination lock to the full installation of access control systems, safes and vaults for multi-million dollar businesses. Our aim is to provide a Locksmith Bondi Junction service to you at affordable prices. Rest assured, being cost effective doesn’t comprise the quality of our service in any way. We understand you could easily choose a competitor to complete your Eastern Suburbs locksmith request. That’s why we aim to provide you with the highest value of service – competitively priced, professional and reliable locksmiths available any time of day. 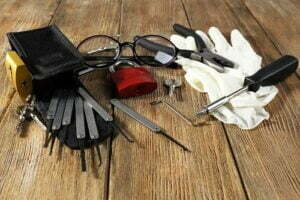 Our locksmith Bondi Junction team are qualified and highly skilled locksmiths. We pride ourselves in providing a high level of customer service across any job. For that reason we want to ensure your experience with us is an enjoyable one. Speak to us today about your security needs.